For the first time, Cisco has overtaken HP in the blade market according to the IDC Worldwide Quarterly Server Tracker. Considering the large market share that HP once enjoyed, that statistic is surprising. However, when considering the fact that Cisco has only been in the blade market for five years, it becomes absolutely stunning. Let me state that again, Cisco has overcame the stigma that comes with being the new kid on the block, and shrinking markets, thanks to the heavy push of virtualization, to become the number one vendor of server blades. They did so by growing revenue 39% quarter over quarter in the Americas, a relatively mature market. Cisco Live Guest Keynote Speaker Announced – KHAN!!! Salman Khan was just announced as the Guest Speaker for the Closing Keynote at Cisco Live US. 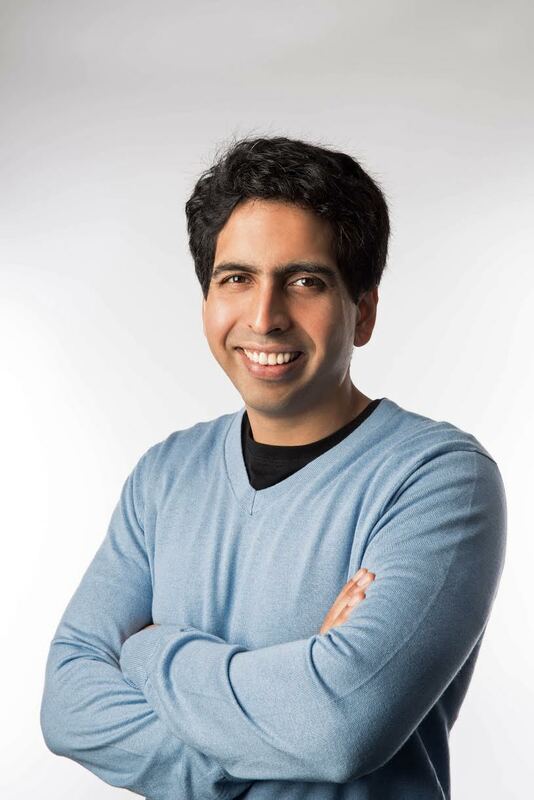 If the name seems familiar, you have probably heard of the Khan Academy. The Khan Academy uses technology to create online training which can be used anywhere in the world that has internet available. They have an incredible vision, and the backing to make it happen. I am really excited about hearing Salman speak. In my mind, the Khan Academy is the power of the internet put into practice, I might even call it a redeeming quality. Every time I see a tweet of Justine Bieber’s blowing the internet up, I simply have to remind myself that people like Salman Khan are countering the idiocracy with knowledge. If you haven’t registered for Cisco Live US yet, now is the time to do so. Cisco Live US 2014 – Engage Now! Last year, I attended Cisco Live for the first time in my career. I went expecting to learn a lot, and I was not disappointed. You can read about my experiences here and here. If you haven’t read them, you should read them now. No, really, go read them. Now that you have read them, you know that you need to begin planning your social experience now. The scheduler will soon be available, and while you are considering the need of various classes, be certain that you create time slots to meet people. There is an incredible braintrust available in the social media hub. If you take the time to mingle and discuss you will be surprised at what you will learn. I have long been a proponent of Twitter for IT professionals. If you and I have met over the last few years, and I haven’t asked about your social media interaction, I would question whether you actually met me and not a doppelgänger. If you have actually met me, I hope that my influence, no matter how small, pushed you to engage. If you are new to social media and planning on hanging out in the Social Media Hub, let me offer a few suggestions. Engage now. Don’t expect to show up to the social media hub without ever talking to any other engineer on twitter and expect to enjoy your experience. We like our jokes, our running discussions (arguments), and interacting. The social media hub is our opportunity to continue our online discussions in person. If you want a great list of engineers to follow, just check out who I follow. Don’t be afraid to ask questions. We all come from a different background. Some of us are jack-of-all-trades, some of us specialize. We don’t expect anyone to be an expert in everything. We enjoy learning from each other. If you listen, and ask questions, you will learn. Leave the oversized ego at home. Most of us have bigger personalities than egos. There are people in this group who know more than you. Trust me on this! If you show up with the goal of proving how smart you are, you’re going to have a bad time. Last year, I started a conversation with a well known author. We talked about our careers, about IT in general and the direction of technology. During these conversations, no less than 15 people approached to tell the author how great he was. The author was very happy to talk with them, and many times tried to draw the individual into our conversation. He would introduce me, mention the topic we were discussing at the moment, and made a genuine attempt to engage them in the discussion. Without fail, they thanked the author for his work, and then shyly withdrew. They were worshiping, not engaging. 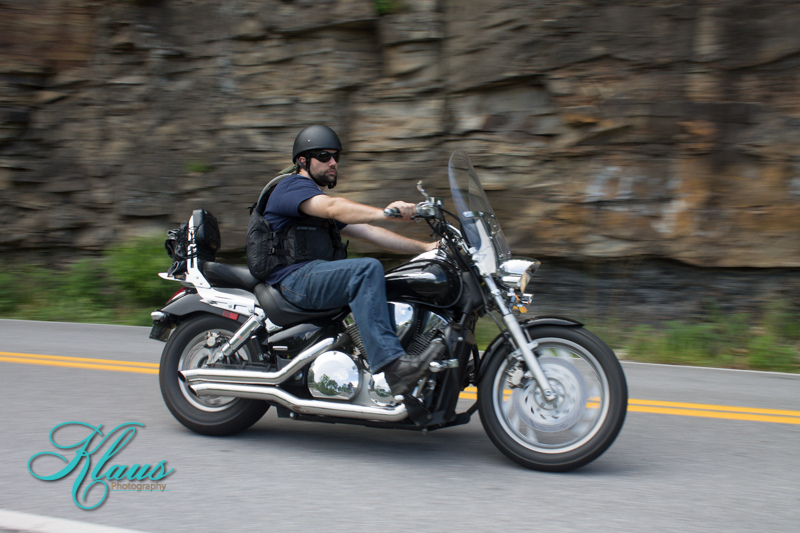 I spent the last 5 days on the seat of my motorcycle driving hundreds of miles through the mountains of West Virginia. I do some of the best thinking on my motorcycle. The sound and vibrations of my pipes, driving with my whole body, leaning in and out of curves, the awareness of everything on, in, or around the road. Somehow, with all of that going on, I think A LOT. As I continued to process everything I learned at Cisco Live, there were some thoughts that stuck out. These have very little to do with the social aspect, as I have already written about that here. 1) Why isn’t there a “lessons learned” document or post from the team who setup the wireless network? That was an incredible undertaking. I heard no complaints. I want to know what the Cisco Live Team has done over the last few years to scale the wireless network. Maybe the article is out there, but I haven’t seen it. This article wouldn’t be theory or sales, this is open communication about a real-life incredibly complex environment. 2) Ditto on the WAN connection. 3) As a first time, late registering attendee, I didn’t fully understand the Meet the Engineer, or the Table Topics at lunch. Now that I understand both, I will take better advantage of them next year. 4) There is a special program for Netvets. There is a special party for CCIE’s. Why isn’t there a session on Sunday or early Monday for first timers? Make it a welcome party, initiation, meet and greet, and Q&A. I would have felt overwhelmed if it wasn’t for the great group of engineers that I hung out with at the Social Media Hub. It would have also answered #3 above. I was surprised by the number of engineers running through the WoS chasing cheap plastic swords and other bits of junk. I liked a few of the T-Shirts, and grabbed a few of those, I picked up some buttons from Solarwinds, who clearly understands geek humor, and I avoided the rest. I realized on my ride this week, that the attendees were following the design. Run from booth to booth conquering and claiming prizes. Vendors, can I make a few suggestions? 1) If you plan to give away shirts, make it a good design. If I like the design, I will wear it. Other engineers will see it. Conversations will be started about your company. Isn’t that the goal? If the design is bad, it will end up in the “donate” pile, as the yard work t-shirt, or used to wash cars. None of those are good for brand recognition. Special points given to geek humor and high quality shirts. If you want to guarantee that it sees the office, make it a polo shirt. 2) Stop trying to win customers with a 5-minute pitch thrown out at the speed of sound by a mouthpiece that can’t answer questions. Your audience is technical. Do you think the audience can’t tell when the speaker is reciting words that they don’t understand? 4) Don’t scoff at me when I refuse to provide my information for your cheap junk. Now is a great time to register for next year! I’ve been back from Cisco Live 2013 for 5 days. I’m still not caught up at work on email or task that were assigned while I was away. It will most likely take a couple of weeks of working extra hours each day to finally get back to the point where I am only drowning a little. With such morose statements, it probably seems like I’m not happy with my first trip to Cisco Live. In-fact, you cannot be more wrong. Cisco Live is like Space Camp for adults. Once you have been there, coming back to normal life is difficult, but I’ll get to that later. I understand that I had an unusual first experience but I’m not special. If 2014 will be your first Cisco Live; your trip could be just as good as mine, or even better. If you came away from Cisco Live 2013 unimpressed, YOU ARE DOING IT WRONG. From my time on Twitter (@subnetwork) and this blog, I knew a lot of other engineers via the Internet. The very first stop I made after checking in was The Social Media Hub. On Sunday there was a Twitter Meetup (tweet-up). This gave me chance to meet in-person engineers that I have been conversing with online for years. The engineers who attend the Tweet-up are a special breed. They write blog post about network engineering. They post to twitter about network engineering. They think about network engineering a LOT. This was an opportunity to learn, teach, and otherwise geek out about network engineering without getting that look that says the other person checked out as soon as you mentioned LISP. From there, Cisco took over their role, and managed to host an incredible event. I sat through classes, ate meals, walked the World of Solutions, went to the Customer Appreciation Event (CAE), and attended vendor parties each evening. All of this falls into the standard experience. However, in my case, everywhere I went, there was someone from social media crowd. Lunches were discussions about problems at work, new technologies, classes we attended, difficulties in finding good coworkers, geek lore, and the list continues on. From the Social Media Lounge, I was able to participate in various contests Cisco posted online. I scored a special pass to the CAE, which allowed me to meet the band Journey. Thanks to Twitter, I was invited to the CCIE event. While sitting in the lounge, between sessions, I was invited to participate in a Tech Field Day featuring Open Gear. I met Journey, attended the CCIE party as a non-CCIE, and participated in a Tech Field Day. These aren’t part of the normal experience. None of this would have been part of my experience if I wasn’t active in social media and hadn’t sought out these great engineers who sleep, eat, and breathe networking. Your task, if you choose to have an extraordinary experience next year is simple. Begin participating in the conversation now. Make virtual acquaintances now, then turn them into friends in San Francisco. If you do it right, next year, you will have difficulty adjusting back to normal life. You will be overflowing with fresh knowledge, and will be looking for people to share it with. You will find yourself often wishing that you were back at Cisco Live so that you could share your excitement with someone else who LOVES what they do for a living as much as you do. Explaining wireless overlap to non-techies. Yesterday I was called about a problem in a new warehouse where I had recently rolled out wireless. I knew what the problem was before I ever logged into the wireless LAN controller. My organization leases approximate two thirds of a large warehouse, and the remaining space is occupied by various organizations. Those various organizations are broadcasting from 29 unique AP’s all crowded into the 2.4Ghz space. I knew the issue, because I had raised the red flag before the project had even begun. I explained the problems that would be experienced, due to the other networks, and that there was little I could do to mitigate the problem. I was able to work with the building owner to disable AP’s that existed on our side of the warehouse. Since I had already explained the problem once, I thought I would take a different tack. I typed out a quick short story that explains the overlap problem, and sent it off. It seems the story made a positive impact and helped the manager understand the root of the problem. I thought I would share this to help bridge the gap between engineers and business managers, that need to understand wireless problems. Bob is excited to finally be going to the XYZ annual conference in Podunck, Al. This year, the conference is bigger than ever, and he was lucky to even get a ticket. When he arrives, he learns that all sessions will be taking place in room 1, room 6, or room 11. Since he paid extra, he has two days of additional classes which he can choose to attend, and quickly fills his schedule. On the first day, each session is taught from the stage, with the latest in PA equipment. The speaker is easily heard, and the presentation is clear and effective. Bob ask a few questions, and gets answers he both understands, and appreciates. He leaves feeling like he has learned an incredible amount in a very short period of time. On the second day, more people have arrived at the conference, and he is surprised to find that each room has two classes going on at the same time. There is now a stage at each end of the room labeled A and B. Also, since the focus of the second day is Q&A, audience participation is paramount for the day to be effective. After breakfast, Bob gets a seat near Stage A, and while Stage B is distracting at times, he is still able to understand things that are being said. After lunch, however he isn’t so lucky. Near the middle of the auditorium noise from the Stage B often overwhelms the sound from stage A. Also, when the Stage B audience participates, he gets distracted, and forgets the question he wanted to ask the presenter on Stage A. Once he finally remembers, and gets the attention of Stage A, it is clear that they can’t understand him, so he repeats his question multiple times. Finally the presenter understands the question, but Stage B creates so much noise that Bob never hears the answer. Bob leaves that day feeling frustrated. On the third day, everyone has arrived. Bob is horrified to learn that each room will have 4 sessions running simultaneously. The scene is pure pandemonium, and Bob does something smart…he spends the day playing golf. Ethan Banks has a great article over at the PacketPushers website detailing the simple setup required to archive switch configurations to an FTP Server. I’ve looked for this type of solution before, but haven’t ever seen it explained so well. There are valid security concerns that come with clear text passwords and usernames in the config, but in my opinion, if an outsider is already looking at my config, the ftp account is the least of my problems. Be sure to give it a read, and leave Ethan a comment.